We Rent, Sell and Service Swing Stage Platforms. Combines the best of current technology with new concepts. 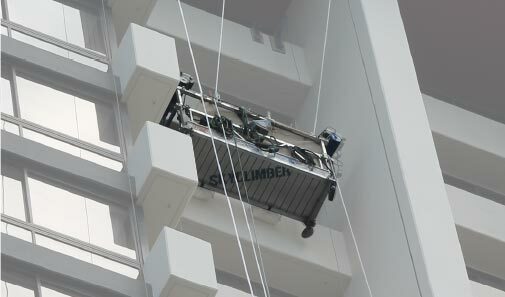 At Sky Climber we Realize that Every Project is Different. That is why we have designed our equipment to seamlessly adjust to your ever-changing needs. Every aspect of the stage can be configured to meet your requirements. We will meet you onsite to determine job-site specification then customize the stage as needed. We can provide single point stages for access to confined areas or for material hoists. Adjustable corners, double wide staging, multi-level platforms, porch brackets, fixed corners and bosun chairs. Sky Stage Ultra is the Right Choice! For Any Commercial, Restoration or General Building Maintenance Project.